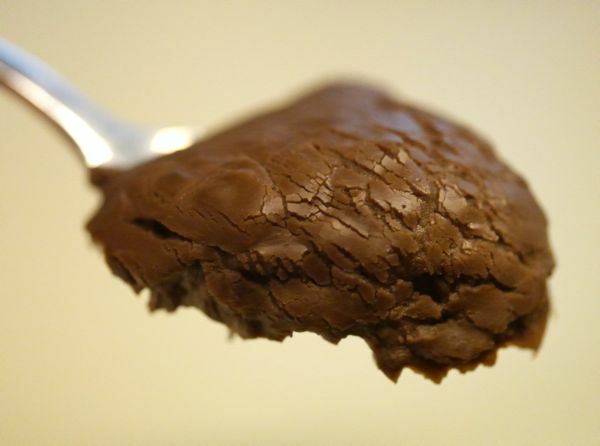 Welcome to Day #7 of Chocolate, Caramel and Toffee Theme Week. 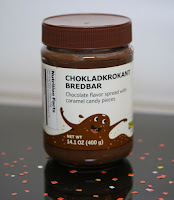 What is Chokladkrokant Bredbar you might ask? It's a spread from Ikea Food Services AB (Helsingborg, Sweden). 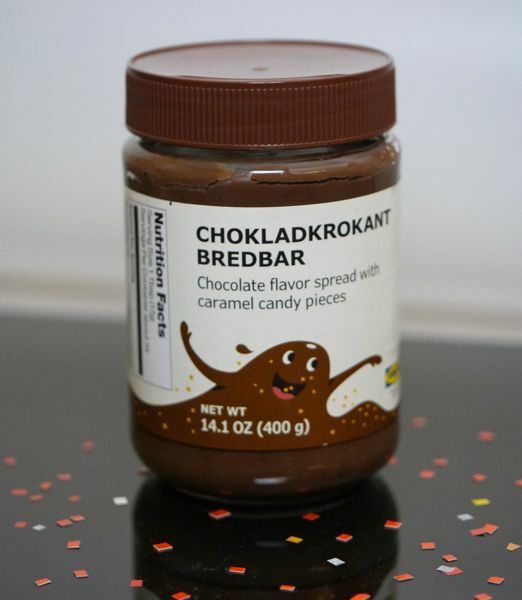 This "chocolate flavor spread with caramel candy pieces" tasted just like the description.